“Us” is a haunting exploration into our country’s past transgressions and its inability to recognize the trauma it caused. Jordan Peele’s sophomore feature after last year’s “Get Out,” “Us,” goes bigger — in scale, message and ambition. But even as his budgets increase, Peele’s signature style continues to be the driving force behind his success. He takes the teachings and styles of Spielberg, Kubrick and De Palma and puts them through the lenses of horror, social consciousness and satire to create something that is simultaneously unique yet wholly approachable. The story opens with young Adelaide Wilson (Madison Curry) wandering off from her parents and suffering childhood trauma at a boardwalk fun house in Santa Cruz, California. Decades later, grown-up Adelaide (Lupita Nyong’o) and her husband, Gabe (Winston Duke), take their kids, Zora (Shahadi Wright Joseph) and Jason (Evan Alex), on a return trip to Santa Cruz. But their family vacation turns chaotic when dangerous doppelgängers appear in their driveway. These are not your typical doppelgängers. They are known as “The Tethered” and are the result of secret failed experiments from a government cloning project that wanted to generate subjugated humans as a means of crowd control — all of whom inhabit the thousands of miles of abandoned tunnels that run underneath the United States. What makes these antagonists great is that their motivation is so understandable. These were creatures created to control the populous, and, when that didn’t work, they were confined and forgotten underground. Like Frankenstein’s Creature or the Wolf Man, The Tethered will frighten audiences. Yet beneath their uncanny horror, they’re weirdly sympathetic. Rejecting humanity because humanity rejects them is a feeling many can relate to. Basically, this states that even once people realize the error of their ways, God still won’t help them. In terms of this film, that error is what makes this film so interesting. There will be many different ways you can interpret the message. This film was a haunting exploration into our country’s past transgressions and its inability (or unwillingness) to recognize the trauma it caused. This is best captured by the film’s references to Hands Across America, the failed experiment which didn’t actually link people from coast to coast but was dubbed a success all the same. It’s the perfect symbol to stand in for the country we wanted to make, the one we perhaps felt divinely mandated to make — and the country we actually ended up with. 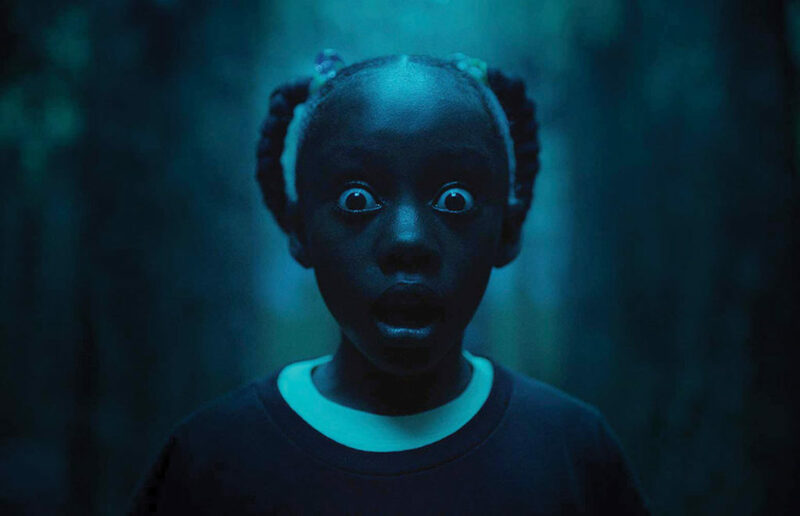 Along with a great story and fantastic pacing, Peele reteams with Michael Abels to score “Us,” with disturbing results. Anyone who has caught the film’s first trailer heard a twisted, eerie, tense, slowed-down version of the 1990s hip hop classic, “I Got 5 On It” by Luniz that sparks goosebumps every time.